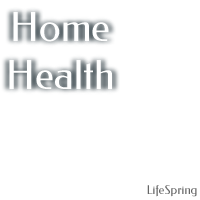 LifeSpring In-Home Care Network is a nation-wide family of home care services designed to assist people to remain at home, even with health concerns. *Not all services available in all locations. Home Health Care furnishes an efficient and cost-effective alternative to hospitalization or other institutional care. Our services are provided by a team of highly trained home care professionals who are dedicated to going above and beyond to ensure the care and comfort of patients and their families, while simultaneously addressing individual needs and providing the hightest quality, patient-focused, and loving care available anywhere. Hospice Care at home is a compassionate, unique form of care for those faced with a terminal illness. Our goal is to provide a comfortable and interdependent journey whose primary focus is the promotion of dignity and affirmation, honoring the quality of life for the patient, family members, and others close to them. Services include providing comfort through pain and system management, along with spiritual and emotional support. 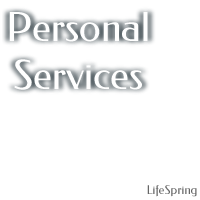 Personal Services offers exclusive private duty services for individuals or families who need assistance with daily living. Do you or someone you know require Personal Services or home assistance? Whether it's one hour a day or all day, every day, LifeSpring's Personal Services are specifically tailored to meet your unique needs. With locations nationwide, LifeSpring has many career opportunities to pursue. LifeSpring provides the flexible job assignments you need to fit your life and your priorities. As America’s leading provider of home care, hospice, personal services and healthcare staffing, chances are we have the right employment assignment to fit your life’s needs as well as the resources and opportunities to help you grow and thrive. Nurses and other health care workers serve all segments of society in many different settings. Some have expertise in home care which often provides an opportunity for establishing a longer term relationship with the client or patient. A staffing nurse, therapist or aide is often filling in for a shift or providing a much more temporary service. 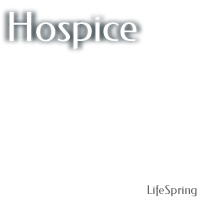 Hospice health care professionals have a variety of areas of expertise including nursing, medical social work, chaplain/spiritual counselors, therapists and bereavement specialists. Often working as a team, each individual provides valuable services to patients and their families. Every health care job requires individuals with specific education, licensure and experience. However, they all consist of individuals who care about others and are interested in making a difference. LifeSpring places a high value on continuing education. Our online Learning Center offers more than 300 Continuing Education Units (CEUs) and in-service educational courses. These courses are provided at no cost to our employees and we encourage employees to take full advantage of advanced learning opportunities. The demand for Senior care services has never been stronger, and is growing…..currently, more than 10,000 people per day are turning 65. This will lead to the number of persons 65 and over that are our potential market to continually grow and to double by the year 2030. Home centered care and services are a proven business and are geared toward the local owner and local relationships…and now with LifeSpring’s experience and support we are ready to help you build a successful senior care business. LifeSpring Home Care is an affordable investment opportunity with great potential for revenue expansion. LifeSpring franchisees across the country provide some of the most comprehensive medical and non-medical home care, healthcare staffing, and hospice services. LifeSpring offers extensive training and innovative marketing programs for all franchisees through one of the most experienced franchise support teams. This legendary brand has been built on 50 years of home care, hospice, and staffing expertise. Having an understanding of today's regulatory environment including Medicare, Medicaid, and Hospice, LifeSpring helps franchisees stay ahead of the ongoing changes in health care and more effectively grow their businesses. If you are ready to take advantage of this unique point in time to establish a business with huge growth potential and a very bright future and believe LifeSpring may be a good fit, simply complete and submit the “Request for Information” form. One of our representatives will contact you to begin the process.